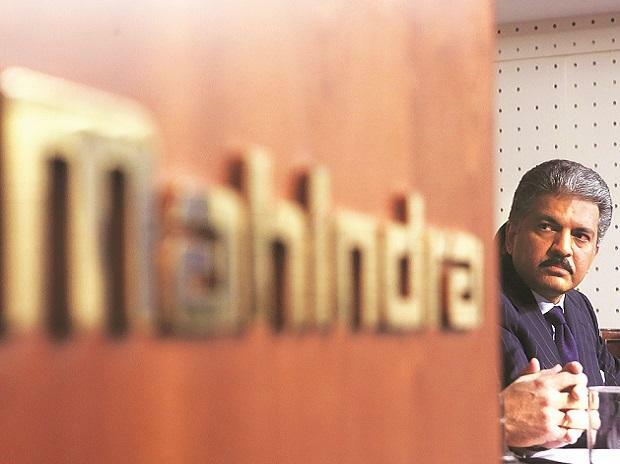 Mahindra & Mahindra (M&M) was up 3.5% at Rs 1,410 on the BSE after its board recommended issue of bonus shares in the proportion of 1:1, i.e. 1 bonus share for every 1 share held as on record date. The company reported 22% year on year (y-o-y) growth in its Group consolidated net profit at Rs 1,411 crore in September 2017 quarter (Q2FY18). Revenue grew 17% at Rs 12,573 crore on y-o-y basis. “In Q2FY18, the domestic tractor industry grew 37% as compared to the Q2FY17. During the quarter, normal monsoons helped in boosting the rural sentiments and demand for tractors. Normal monsoons, and increase in MSP’s of both Kharif and Rabi crops are likely to maintain the positive rural sentiment,” M&M said in a press release. At 03:18 PM; the stock was trading 2.6% higher at Rs 1,397 on the BSE, as compared to 0.36% rise in the S&P BSE Sensex. The trading volumes on the counter more than doubled with a combined 3.03 million shares changed hands on the NSE and BSE. The stock trading close to its 52-week high of Rs 1,460 touched on June 12, 2017 in intra-day trade.